Testing, monitoring, and analytics for continuous digital improvement. Extend your Digital Automation Intelligence capabilities with best-in-class integrations. Ecosystem is a group of tools that extend our Digital Automation Intelligence capabilities. Some tools require Accelerators; others simply require configuration or work out of the box. PractiTest provide a Test Management system for managing your QA and Testing process. Allowing you to control your testing tasks while getting complete visibility into your results, and most importantly release your products in a professional way. Our adapter binds the worlds of Eggplant and PractiTest to provide the best of testing and the best test management software. It is available for Windows, MacOS and Linux. HP ALM is a set of tools designed to accelerate the delivery of secure reliable modern applications. This eggIntegration plugin allows you to use Eggplant Functional in HP ALM by providing a web application that uploads your tests and results to the HP ALM server. You can run Eggplant Functional tests from either Eggplant Functional or HP ALM, those tests and results are automatically uploaded to HP ALM, giving you the benefits of being able to store and view your tests and results in one convenient location — HP ALM. QASymphony helps companies create better software by being the only provider of truly enterprise-level agile testing tools. With QASymphony’s solutions, businesses have the visibility and control needed to ensure application quality in fast-paced development environments. Zephyr provides real-time test management products, and has out-of-the-box support for managing Eggplant Functional scripts. 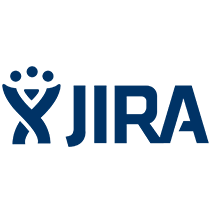 Atlassian JIRA is a tool for planning, tracking, and releasing great software. eggplant Manager can be configured to raise defects directly into JIRA’s defect management system; no plug-in is required. IBM UrbanCode Deploy orchestrates and automates the deployment of applications, middleware configurations, and database changes into development, test and production environments. Eggplant Integrations for IBM UrbanCode adds the widely used test automation capabilities of Eggplant Functional to UrbanCode. Deployments can now be tested with Eggplant Functional and only allowed to proceed if appropriate test scripts are successful. IBM Rational Quality Manager provides an ALM environment for test planning, creation, and execution. The Eggplant Integrations adapter provided for this integration allows you to use Eggplant Functional in IBM RQM — where it would normally use RFT — allowing for easy integration and return of results. You will be able to execute an Eggplant Functional test suite from IBM Rational Quality Manager and return the results to a very-fine-grained level. Blueprint provides a popular requirements management solution that helps large organizations build better business and software applications. Enterprises across the globe use Blueprint to ensure regulatory compliance, speed transition to agile, and better align business and IT. 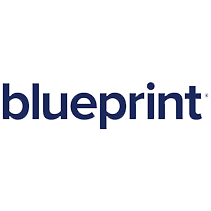 Nearly half of all Fortune 100 companies choose Blueprint to derisk and accelerate their software projects. Blueprint can export requirements in gherkin format which can then be used by eggplant Functional to quickly create robust test automation scripts that deliver complete requirements coverage. No add-on or integration configuration is required; simply use the ‘feature’ files exported by Blueprint within Eggplant as you would any gherkin ‘feature’ file. Jenkins is an open-source automation server that supports the building, testing, deployment, and automation for any project through plug-ins. The Eggplant Functional Jenkins plug-in allows you to send full detailed test status information to Jenkins so that it can report on exactly what went wrong when errors have occurred. Atlassian Bamboo is a continuous integration delivery tool that provides a workflow tying automated builds, tests, and releases together. You can use the Atlassian Bamboo continuous integration (CI) server to execute Eggplant Functional tests without using a plug-in. CA Agile Requirements Designer is an end-to-end requirements gathering, test automation and test case design tool which drastically reduces manual testing effort and enables organizations to deliver quality software to market earlier and at less cost. Undo gives you complete and precise visibility of your program’s execution. Record, rewind and replay your Linux C/C++ application to increase development productivity, respond quickly to failures in production and test environments, and improve software quality. Undo’s reversible debugging and recording technology integrates with Eggplant Functional, allowing developers to identify, diagnose and respond to the failures that continuous integration misses. Microsoft Visual Studio is a collection of developer tools and services. Eggplant Integrations for Visual Studio is an extension to Microsoft Visual Studio that enables you to run Eggplant Functional test scripts as Generic Tests from a Visual Studio Test Project. Teams using the Microsoft ALM systems of Team Foundation Server (TFS) or Visual Studio Online can then execute Eggplant Functional Tests from Microsoft Test Manager or from a Visual Studio build. The Visual Studio IDE can be used to write scripts in a variety of languages. Our load and performance testing tool Eggplant Performance integrates with Visual Studio, allowing you to write and debug your Eggplant Performance scripts using this IDE. The Eclipse IDE can be used to write scripts in a variety of languages. Our load and performance testing tool Eggplant Performance integrates with Eclipse, allowing you to write and debug your Eggplant Performance scripts using this IDE. 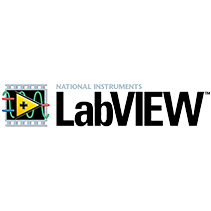 National Instruments LabVIEW provides test automation of central controller area network or “CAN bus” systems in vehicles. Together with Eggplant Functional’s ability to test IVI interfaces, end-to-end testing automotive test automation can be achieved. GameBench is the industry leader for true cross-platform performance profiling and testing for iOS and Android, providing developers and QA engineers with the ability to quickly check the performance of their games and apps. Eggplant Functional can be used alongside GameBench to detect performance problems that might affect UX, and then identify the root cause of the problem so that it can be resolved. No direct integration is required to use Eggplant with GameBench. Spirent provide a broad set of tools for verifying and optimizing networks and communication infrastructure. Spirent iTest includes built-in integration with Eggplant Functional to enable end-to-end testing from the user’s perspective to the network. Vector CANoe is a comprehensive software tool for development, test and analysis of entire ECU networks and individual ECUs. Eggplant Functional integrates with Vector CANoe and enables CANoe users to fully test in-vehicle infotainment (IVI) systems. The combination of Eggplant Functional and Vector CANoe gives a full end-to-end testing solution for automotive. Ingenico provide payment systems for retail sellers. Eggplant Functional can be integrated with Ingenico to automate end-to-end use-cases. Red Hound provides tools to test the consistency of data sets. These tools are especially useful when upgrading systems (e.g., financial transaction processing systems) and there is a need to verify that the old system and the new system are producing the same results. There is no direct technical integration between the Eggplant suite and Red Hound. Wipro AssureNXT is Wipro’s next generation managed services QA delivery framework that integrates best-in-class tools, IPs, and best practices to address the needs of multispeed enterprises implementing bimodal. It ensures business applications resiliency via highly automated processes, QA analytics, and provisions end-to-end collaboration with business. AssureNXT includes integration with Eggplant Functional to enable a full, end-to-end digital assurance service. RealVNC is a VNC (Virtual Network Communication) provider. Eggplant Functional uses VNC as one of its main communication methods with the system under test (SUT). RealVNC provides the VNC server we recommend for use with eggplant. Adder is a maker of KVM switches, which provide a secure VNC connection between devices. Adder KVM is one of the KVM switch providers we recommend for use with Eggplant Functional. StarTech KVM is a maker of KVM switches, which provide a secure VNC connection between devices. StarTech KVM is one of the KVM switch providers we recommend for use with Eggplant Functional. Explore the technology behind our user-centric approach to testing. © 2019 Eggplant. All rights reserved.